Eleanor A. Irwin, 92, of Tollesboro, passed away Saturday evening, August 18, 2018, at Pioneer Trace Nursing Home. Eleanor was born November 27, 1925, in Orangeburg, to the late Elmo Bane and the late Lillian Goodwin Armstrong. Eleanor had worked for Benedix Corporation, Edgewood Arsenal (during WWII), Bel Air High School and had been editor of Gulf Stream Magazine. 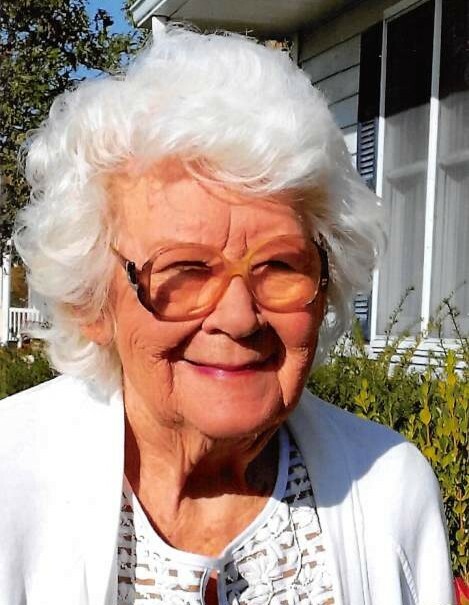 She had served as church secretary at Tollesboro Christian Church where she was a longtime member. She enjoyed working in her garden and raising her flower gardens. Survivors include her son, Robert Irwin and his wife Cinda of Georgia; her grandson, Robert Michael Irwin Jr and his wife Jamie; her great grandchildren, Zachary, Kassidy, Levi, Sarah, Camila and Koby; her siblings, Juanita “Nita” McDerman of Lakeworth, FL, Martha Haycraft of Columbus,OH, Linda Graham of Fairfield Glade,TN, Sarah “Sally” Thompson of Columbus, OH, and Joe H. Bane of Maysville, KY; as well as several nieces, nephews and a host of extended family and friends. She was preceded in death by her husband, Alton R. Irwin; her stepfather, H.P. Armstrong; and her sisters, Emily Hutchinson and Paula Anderson. Graveside services will be at 11:30 a.m., Wednesday, August 22, 2018, at Olivet Cemetery with Eleanor’s son Robert officiating. She will be laid to rest beside her husband Alton. Visitation will be 10-11 a.m., on Wednesday at Boone -Nickell Funeral Home.